Adult: 200 mg as a single dose or in 2 divided doses. May increase to 200 mg bid if necessary. Hepatic impairment: Child-Pugh category B: Reduce dose by 50%. Child-Pugh category C: Avoid use. Adult: Initially, 400 mg followed by 200 mg if necessary on the 1st day. Maintenance: 200 mg bid. 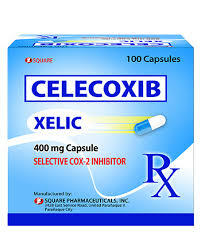 Celecoxib has COX-2 specific inhibitory activity. It inhibits the conversion of arachidonic acid to prostaglandins while having no effect on the formation of prostaglandins that mediate the normal homeostasis in the GI tract, kidneys and platelets catalyzed by COX-1. Absorption: Absorbed from the GI tract (oral); peak plasma concentrations after 3 hr. Metabolism: Hepatic; converted to inactive metabolites. Excretion: Feces and urine (as metabolites and unchanged drug); 11 hr (elimination half-life). Abdominal pain, diarrhea, nausea, edema, dizziness, headache, insomnia, upper respiratory tract infections; rash. Potentially Fatal: Serious skin reactions such as exfoliative dermatitis, Stevens-Johnson syndrome, and toxic epidermal necrolysis. Hypersensitivity including those in whom attacks of angioedema, rhinitis and urticaria have been precipitated by aspirin, NSAIDs or sulfonamides. Severe hepatic impairment; severe heart failure; inflammatory bowel disease; peptic ulcer; renal impairment (CrCl <30 ml/min); pregnancy and lactation. CLINICAL ALERT! Name confusion has occurred between Celebrex (celecoxib), Celexa (citalopram), Xanax (alprazolam), and Cerebyx (fosphenytoin); use caution. BLACK BOX WARNING: Be aware that patient may be at increased risk for CV events, GI bleeding; monitor accordingly. Administer drug with food or after meals if GI upset occurs. Establish safety measures if CNS, visual disturbances occur. Arrange for periodic ophthalmologic examination during long-term therapy. WARNING: If overdose occurs, institute emergency procedures—gastric lavage, induction of emesis, supportive therapy. Provide further comfort measures to reduce pain (eg, positioning, environmental control) and to reduce inflammation (eg, warmth, positioning, and rest). Take drug with food or meals if GI upset occurs. 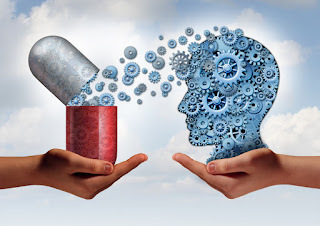 Take only the prescribed dosage; do not increase dosage. You may experience these side effects: Dizziness, drowsiness (avoid driving or the use of dangerous machinery while taking this drug). Report sore throat, fever, rash, itching, weight gain, swelling in ankles or fingers; changes in vision.